Human nature does not change. We can have arcane towers of financial services and regulatory architecture, but the outcomes are a rhyming echo of our DNA. Let's start with this: Fortnite, a virtual place where 200 million people spent time playing a game in 2018, earned $3 billion for its parent company. The video streamer most popular for playing Fortnite on (essentially) TV earned $10 million for the entertainment he provided to 20 millions followers. One of his videos gathered nearly 700,000 views -- for comparison, Conan O'Brien gets about 1.3 million per night. Fortnite makes money by selling cosmetic upgrades to players, and since they inhabit this rendered world like any other social network, our dopamine center and social pressures motivate purchases for status. Given the payments infrastructure of this game and its virtual currency (not on the blockchain!) are comparatively weak, criminals have started using in-game value for money laundering. A report from The Independent linked below finds that stolen credit card credentials are being used to purchase game currency and then cashed out at discount on eBay. Additionally, over 50,000 instances of online scams related to the game made their way to social media per month. Welcome to the Internet, everyone! We can't help but remind you that Steve Bannon (yes, that one) and Brock Pierce (EOS, Tether, Puerto Rico, etc.) once ran the largest World of Warcraft virtual money exchange. So should we bring down the financial regulators on Epic (the maker of Fortnite) as hard as New York state came down on Bitcoin companies with the BitPay regime, freezing innovation? Should KYC/AML be required for all video games? Under the Chinese model, Tencent's "Honor of Kings" mobile game generates $2 billion in revenue per year and is under the same strict government control/license as financial products. Players are checked against a registration database to control for age and name, and (we expect) the play time data flows into a social credit score. But recent studies of KYC/AML policies persuade us otherwise. 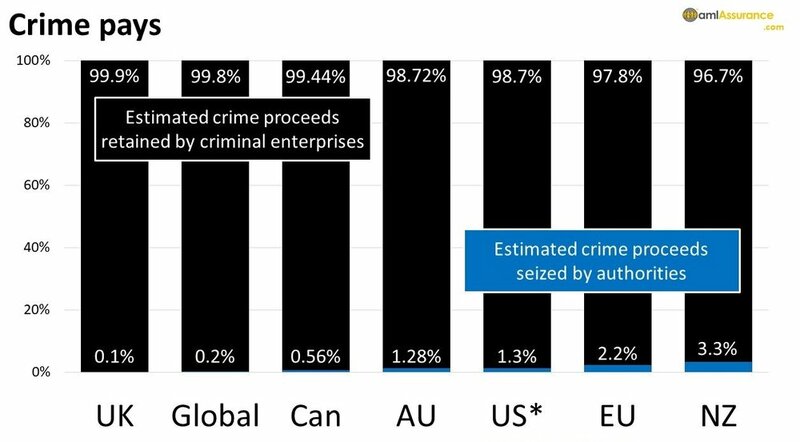 When looking at the amount of criminal proceeds actually seized by authorities based on those policies, the amount is less than 1%. The cost may not be worth the outcome. Over the last decade, consumer tech has undergone a cycle of platform building, user aggregation, data mining, and value extraction, resulting in GAFA monopolies. Exhaustion with Facebook and the adjacent issues of privacy and radicalization, in our view, will lead to problems building new splintered consumer attention platforms for AI, AR/VR and other new media ground up. This implies that consumer platforms based on new technologies will be much more long-tail oriented, serving niche markets with very strong fit. Communities may be passionate, but smaller. Enterprise tech lags retail adoption by, give or take, 5 years. Similar platforming has not fully penetrated on the enterprise side -- Salesforce is not yet the AI monopoly we should all fear, and Open Banking is barely a fizzle. Therefore, we expect increasing data transparency, aggregation and monetization to occur in enterprise underwritten by venture capital investors. As an example, augmented reality adoption and economics will be driven primarily by municipalities, utilities, large industrial manufacturers, and the military. Similarly, artificial intelligence at scale (and its meeker cousin Robotic Process Automation) are to be directed largely at the workflows and manufacturing processes of large corporates. Dont' get us wrong -- consumer AI is extremely important -- but within Financial Services, the scope for this in the corporate world is even larger. The corollary is that the pricing pressure that started in consumer Fintech -- roboadvice (150 bps to 25 bps) or in remittance (600 bps to 10 bps) -- will spill over into B2B banking, money movement, insurance, treasury management and product manufacturing. An inevitable outcome is pressure on profit margins as prices equilibriate. For those companies that are able to re-design operations using a digital chassis, they will be able to compete on the margin with Fintech unicorns. Those that are not should exit, or retreat into more bespoke, relationship-driven business lines. How did we do? Not so great with the timing of the theme. While we continue to think that augmented reality, machine vision and edge computing will be combined by Amazon, Alibaba and other retail tech giants into digital shopping experiences in a physical space, this certainly has not happened yet. Tests for a cashier-less shopping experience are happening, as is the gradual but certain adoption of mixed reality on iPhones and Android devices, but we have not seen a consumer tipping point. The $125 million funding of Trax by Warburg Pincus is a start. If anything, mixed reality seems to be headed more towards large, enterprise use-cases like city planning, construction, low skilled worker on-site instruction for utilities or manufacturers, and the military. However among young consumers, the behavior of buying digital goods in video games, and the associated monetization of content from video games using channels like eSports continues to be a powerful secular trend. Billion of revenue are generated by free games that only sell cosmetic in-game objects. See as proof points the fast growth of Twitch users and the $1B+ in revenue Fortnite made from microtransactions. In addition to being trained to value imaginary objects, they are also being trained to use virtual currency issued by brands. Simple, feel good news. IDC updated its mixed reality headset shipment tracker, and people are buying more devices. Relative to a year ago, sales went up by about 10%, and global shipments are nearly 2 million per quarter. Headsets that don't have a screen (like Samsung's Gear VR or Google cardboard) are becoming less popular, while intrerest in standalone headsets that come with a screen and a processor seem to be growing. Facebook's Oculus Go would be an example (as an aside, the thought of Facebook knowing what we look at in a VR environment seems inevitable). The rest -- or about half of all the shipped devices -- are those you plug into a computer or a Playstation. Dedicated Augmented Reality hardware is doing much worse in the retail market, shipping a couple of dozen thousand for even the best biggest brand. We think this is due to (1) every Apple and Android phone manufactured from now on being an AR device, and (2) folks waiting for Magic Leap and the next gen Microsoft Hololens. Further, as we had explored previously, Microsoft just secured a $480 million HoloLens contract with the Untied States military. 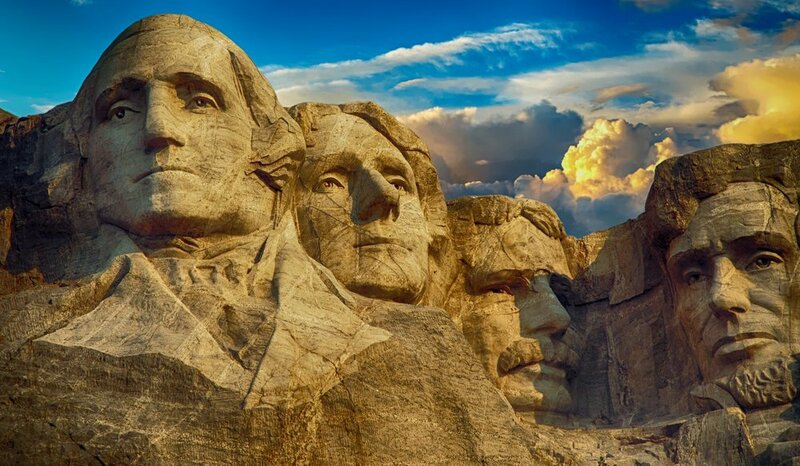 It's likely that some of these early technologies will fail to be attention platforms, but succeed at being government or enterprise technology. To bring it back into financial services, we recently attended Fintech Connect to moderate a panel on artificial intelligence. There, we came across digital consultancy Softserve, which built a fun prototype for the conference simulating a payment experience using hand gestures within a Magic Leap environment. Payment menus appeared in the view, and a camera that read hand gestures could understand whether you were confirming a transaction. This suggests different ideas -- from building a virtual checkout located physically next to a purchased good with a rendered interface, to the sale of virtual goods in a physical environment. 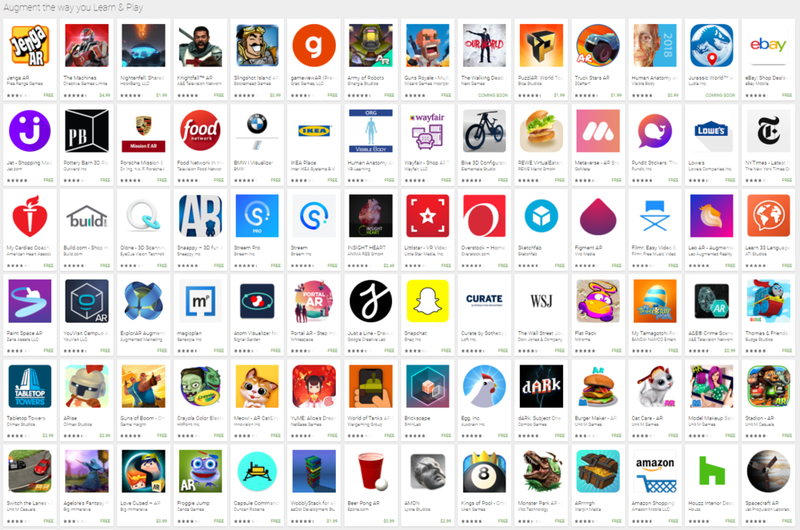 And the folks at Magic Leap are willing to pay developers up to $500,000 per app to fill up its barren app store. VIRTUAL REALITY: VR Failing as Platform as Headset Shipments Stall. Virtual Reality isn't working out as a platform. Below, you'll see the declining popularity scores of the major headsets being sold on Amazon, as scraped by Thinknum. Samsung's Gear headset slipped from the top 100 after November 2016, Facebook's Oculus by July 2018, HTC Vive in June of 2018 and Sony Playstation in April of 2018. IDC also just updated their headset tracker and shipments are down across device types. Headsets that insert smartphones (e.g., Samsung, or Google Cardboard) have declined from 1 million in 2Q 2017 to less than 500,000 a year later. Tethered headsets (those that connect to PCs and devices) fell 37% year over year. The only category that did grow is standalone headsets, which is a completely independent device for which you need no other peripherals. Oculus Go and Xiaomi Mi VR are examples. And while there might be several dozen million devices installed out there, the technology is not showing the hardware growth of the iPhone, or the software growth of a Whatsapp. So what can we take away from this stalling? First, VR is meant to be a platform war for tech companies, including a dedicated app store, video and gaming content, and the other benefits of owning the customer. However, to be a platform, you need to capture an audience. And to capture an audience, you need to have spectacular differentiated design and proprietary content which forces adoption. The design part is still in wild flux, looking for a form factor people like. On content -- today's platforms bootstrapped themselves off existing media. Youtube started out as a place to park bootleg movies. iTunes grew on being able to play pirated music and sync it to your iPod. Facebook gave a home to college kids' digital photos. VR does not have this luxury, because the making of VR content remains far outside the capabilities of the average user. Nor is there a large library of interesting things to digitize. So the bootstrapping is much more difficult, because not only do you have to create all the content from scratch, but you also have to teach your clients about a new experience, which suggests the audience is not built in. That's not to say that the payoff for winning VR is small, but in the short term it is primarily a novelty gaming system. Despite all the talk of mixed reality hardware leading us towards augmented commerce, it still feels like nobody has a AR/VR headset. Will this be an actual platform shift, like mobile phones, or a dud like 3D films? First, the numbers. 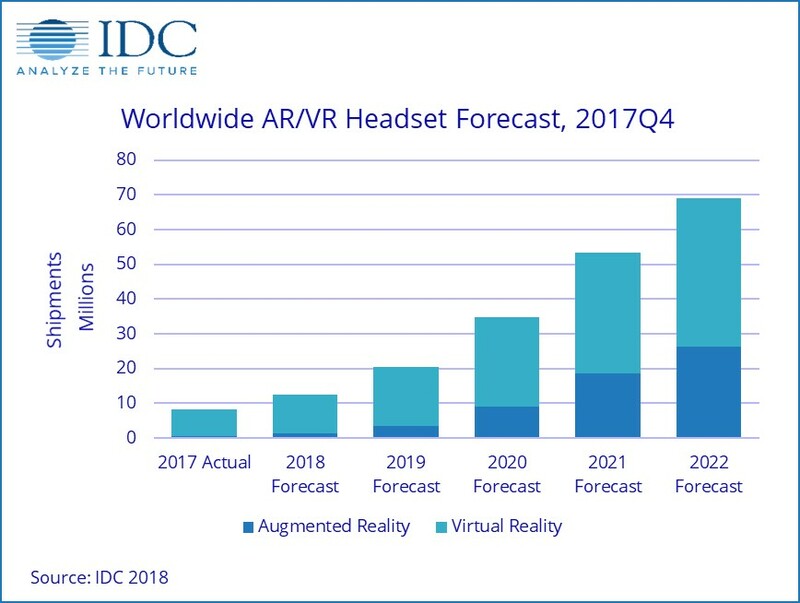 Last year, about 8 million headsets shipped to consumers, with 12 million expected in 2018. These include a variety of quite different devices — screenless viewers into which you plug in a phone (good for 360 video, but laggy), stand-alone headsets (VR rendering hardware and software in a single package), tethered headsets (plugged into a desktop for rendering horsepower). 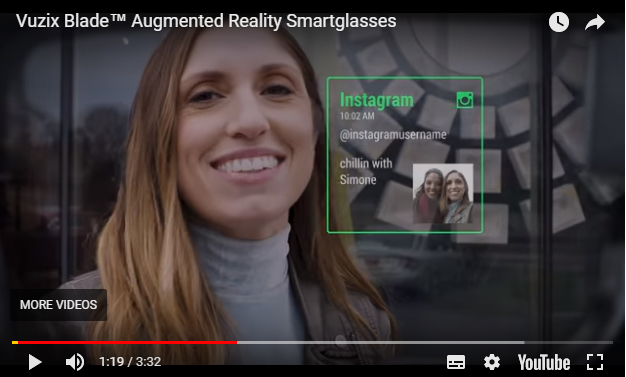 We are also on the verge of seeing more augmented reality devices, like Magic Leap and HoloLens, that have semi transparent lenses and render virtual objects in the real world, as well as wireless headsets for full VR. The developer ecosystem is also moving well along. 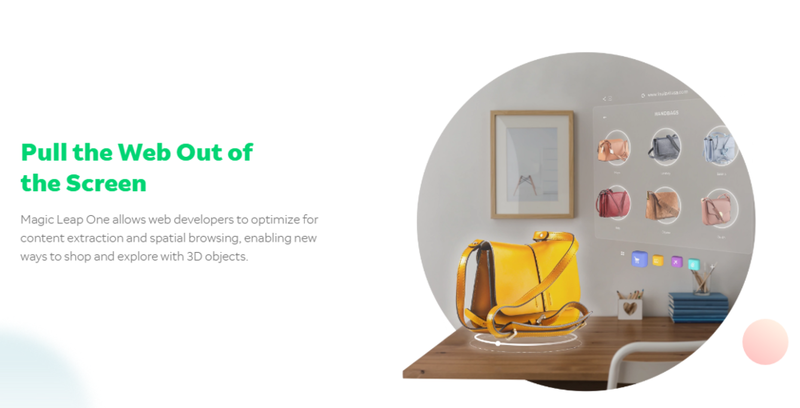 Google has released its developer kit a while ago, turning Android devices into AR units. It now has 85 apps, of which several enable commerce. See Ebay, Overstock, Wayfair, IKEA, and the Food Network. Google is also opening up its Maps API to help catalyze the development of location based AR apps (think PokémonGo). Microsoft’s HoloLens has done the same in 2016, targeting industrial applications, like architecture and construction. And Magic Leap is opening up its hardware for developers now, promising a high end augmented reality experience — the least they could do after over $2 billion in private funding. And in the crypto world, projects like Bubbled* are exploring augmented reality land titling, to keep vagrants trying to catch some rendered critter out of your backyard. It’s hard to catalyze a change in human behavior. If you do it, and then own some dimension of the ecosystem along which you can take economic rents (e.g., hardware or capital or data), the outcome is a multi-billion dollar honeypot. Thus HTC, Facebook, Google, PlayStation and others are all throwing billions into the sacrificial fire. But getting people to change how they pay for things, or what currency they use, or what data they share is immensely hard. Which is why, we think, there’s the beginnings of a media content wave that’s meant to normalize mixed reality hardware. See for example the blockbuster film “Ready Player One”, where the main character’s life is dreary in the real world, but full of potential in the virtual one. Or the teen show called “Kiss Me First”, where the main characters struggle with social media, identity and the requisite drama in part through adventure in a virtual world. If iconic cultural experiences tell us that mixed reality is normal and here to stay, well you get it. You might not care, but your kids will tell you to buy it. Here is your futurist palette cleanser. At the world's largest consumer electronics show, augmented reality and virtual assistants dominated this year. It's like the tech companies are living in a completely different world than the rest of us. First the data points on virtual reality. A pair of augmented reality glasses called Vuzix Blade are attempting to do again what Google Glass and Snap's Spectacles failed to do, i.e., matter at all. But, this time *may* be different. Augmented Reality is more mature, is plugged into various operating systems, and has developers building cool apps. Vuzix is working on an interface layer on top of the real world, which could theoretically power a payment experience. Another example is Magic Leap, a developer of a mixed reality headset that raised $500 million last October, and finally revealed its Lightwear product end of last year. The developer kit is out there, and one of the advertised uses is AR commerce (see the promotional image attached). And as a last data point, HTC Vive now has a wireless adapter. So you no longer need to have wires sticking out of your head to use VR -- just beam it over please! Did we mention that the Vuzix Blade comes built in with Amazon Alexa? So expect to see people talking to their smart glasses, which solves a major user interface challenge for something you cannot touch. Google is heavily invested into this trend as well. One of the biggest platform battles today is around bring artificially intelligent assistants into the mainstream, a battle that Amazon and Google have only begun. To that end, Google is embedding its AI assistant into cars (Android Auto) and smart displays that will likely be embedded into refrigerators and other willing appliances. So finally, we will be able to talk about our finances to the car, and ask the toaster about investments. But let's generalize just a bit more. What we are seeing is the rise of the augmented human. Whereas computing previously lived mostly in our sense of touch (keyboard, phone), it is now moving to our sight (AR/VR) and our speech (assistants). Yes, everyone looks like silly cyborgs in the stock photos, but understand that this is just the beginning and we are in the awkward teenager phase of such augmentation. Further, as our senses are digitized, their function will be tokenized and used as a medium of exchange. Projects like Brave and Gazecoin point the way.